I love summer beach bags and if you follow me on Instagram you already know that I sort have an obsession with beach bags. Since Summer is just around the corner I thought it would be the perfect time to gear up. 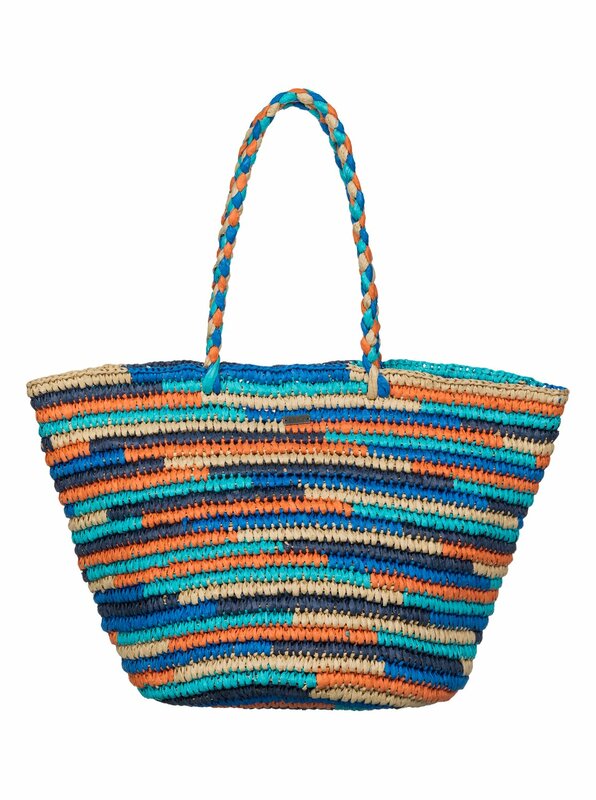 I searched high and low for beach bags that are not only super cute but that can make a statement at the beach. Beach bags or pool bags as some like to call them have to have some particulars. The first thing I look for is a pocket for keys, cell phone, and lip gloss. The second thing I look at is the material to make sure that sand can easily be dumped out. Lastly I look at how much room it has as I like medium to large bags. The items needed in my beach bag are the essentials like sunscreen, wine opener, tanning oil, water bottle, goggles and then of course room for magazines and books. I like to go through and dump everything out right before every beach trip so that you get all of the excess sand out and start with a freshly organized bag. This one is super cute and budget friendly from Target. Similar to the one above I also love this one from Kohls. There is only one problem in that there is no pocket. However I do love that there is no lining which means the sand doesn’t get stuck in the bag. Here is a really colorful one from Roxy. I love the “hello Summer” on this bag. This also has plenty of pocket space and for the price it can’t be beat.